My father is an easy going, salty sea dog with callused hands, who refuses to wear a watch and prefers curves to sharp edges… on everything. He’s a painfully measured perfectionist and essentially a sculptor. In professional circles, this is known as a boat builder. Dad has always reveled in the process of the build, so much so he doesn’t seem to actually want to finish a project. It’s “all in the journey” apparently, which has earned him the apt nickname, ‘Two Thirds’. His shed is filled with brass trinkets, ornate furniture and cabinetry, and salvaged marine gear. Yet something rather miraculous has happened recently where he’s pushed the boat out, so to speak. 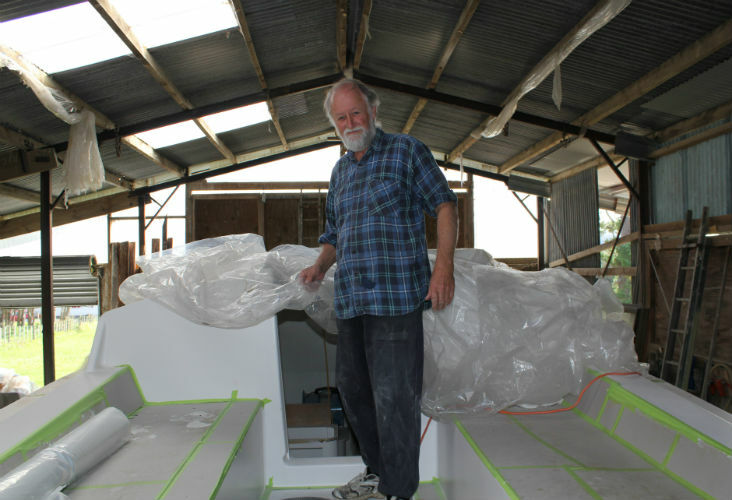 His 11-metre yacht, which has been the subject of endless weekend sanding and gluing for over 20 years, will be ready to launch next summer. So to help him maintain this newfound work ethic, and to show genuine interest (Dad and I haven’t actually been out on the water together since I was five! ), I’ve made it my mission to impress with some sailing experience. 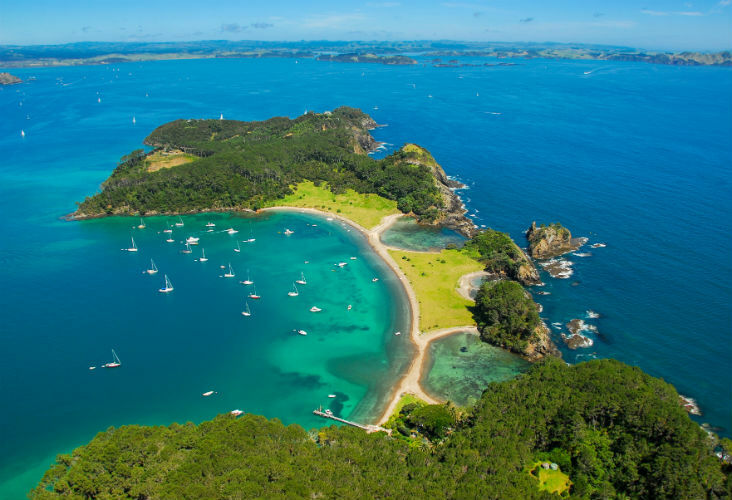 And what better place to start than the Bay of Islands – where Dad plans to launch the boat next summer! 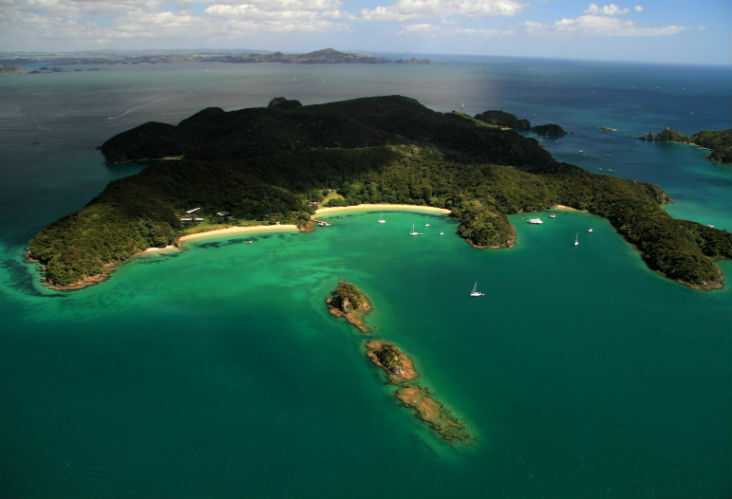 Why sail in the Bay Of Islands? 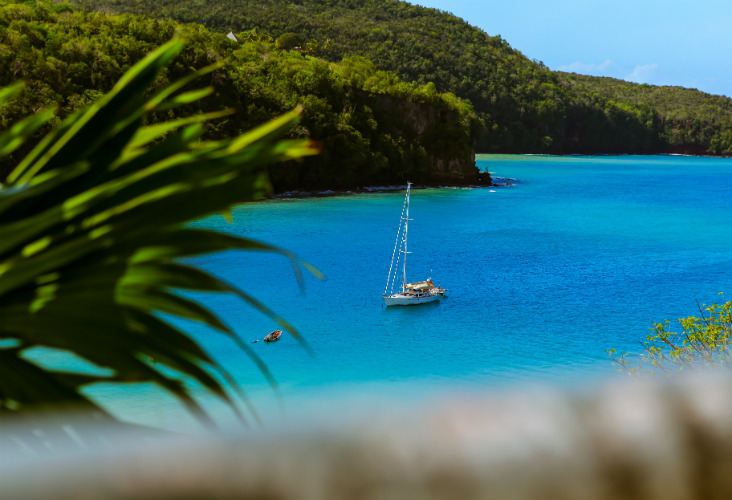 The Bay of Islands is favoured as a sailing destination as it’s protected by multiple islands offering good anchorage, has an exceptional climate, is well set up for marine activities, and of course, is downright beautiful. 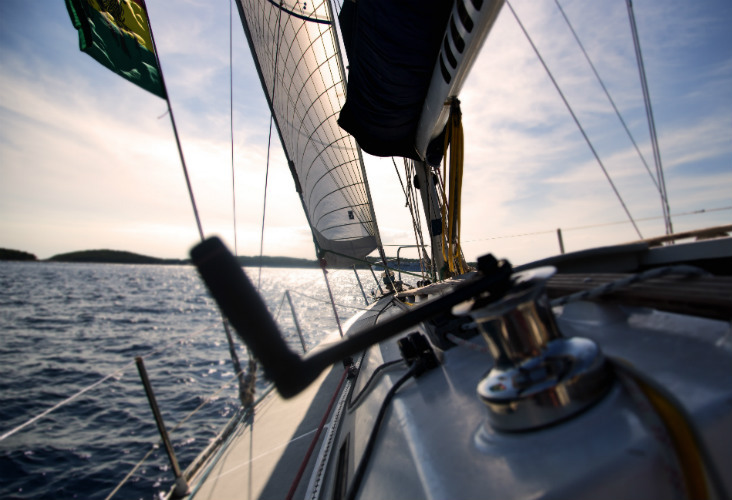 See our full list of companies specialising in sailing here. Vanessa McKay from charter company, Carino Sailing Adventures, says sailing in the Bay is quite simply good for the soul. “It’s all about the smiles when we turn the engines off and when the wind catches the sail. We see our guests take a huge deep breath and relax into the motion of the boat, complemented by a surreal landscape”. According to my dad, sailing involves so much more than just understanding how a boat uses the wind to move through water. It requires a certain instinct and appreciation for your surroundings and environment. I know I won’t be able to learn such skills overnight, but I’m keen to get my fingers wet and start with the basics. I personally have visions of waking to the sound of waves lapping gently on the hull, diving overboard for early morning swims, and having coffee in the cockpit wearing a designer fluoro bikini as the sun climbs in the open blue sky, while I spot dolphins leaping on the horizon. Although Dad acknowledged that sailing would certainly deliver on my vision, he reckons the reality and “the best bits” involve overcoming the forces of nature and complications of marine mechanics. The freedom you feel as your boat and Mother Nature combine forces. His eyes lit up as he told me stories of failing engines, howling winds, broken lines and winning a game of dead reckoning in the middle of the night. Thankfully the Bay of Islands caters to all sailing expectations – those like mine, and those like my Dad’s. And of course the area has a reputation for superb diving, spectacular marine life (including dolphins!) and some of the world’s best fishing. It really does seem like the perfect paradise to begin my NZ sailing journey – and hopefully yours too. Here’s a guide to help us both. As a beginner you can choose from an intensive, certified course, or much like learning an instrument, you can skip exams and just find someone to teach you privately – the choice is yours. If you’re after an introductory day or two, or enjoy a more relaxed five or six-day “learn to sail holiday” via a chartered vessel with skipper (see below) the Bay of Island has a wealth of options. 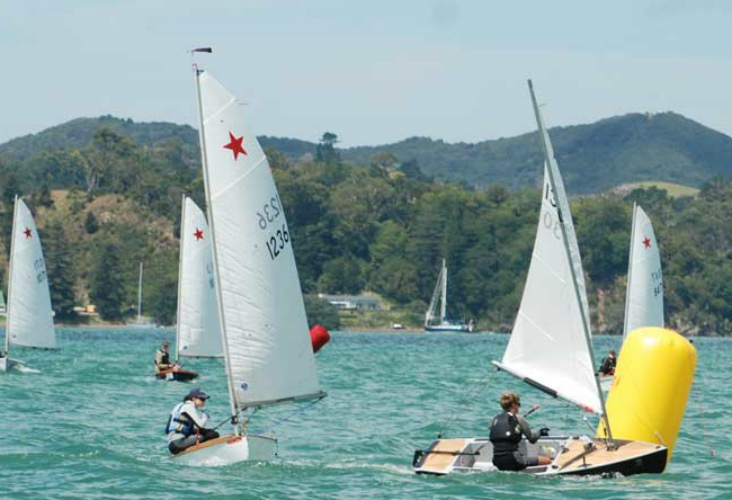 The Yachting New Zealand Learn to Sail syllabus is one of NZ’s most trusted sailing courses, and is usually carried out through Yacht clubs. Other RYA Courses (‘Coastal Skipper’, then ‘Offshore’ and then your ‘Ocean Yachtmaster’). Most people start sailing by joining a yacht club, and taking regular weekly lessons. 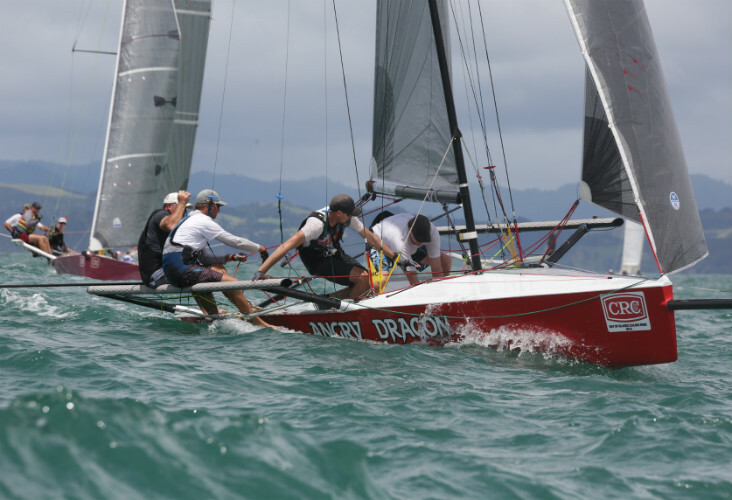 You can also learn via private sailing schools, many of which are commercial maritime members or non-commercial maritime members of YNZ. 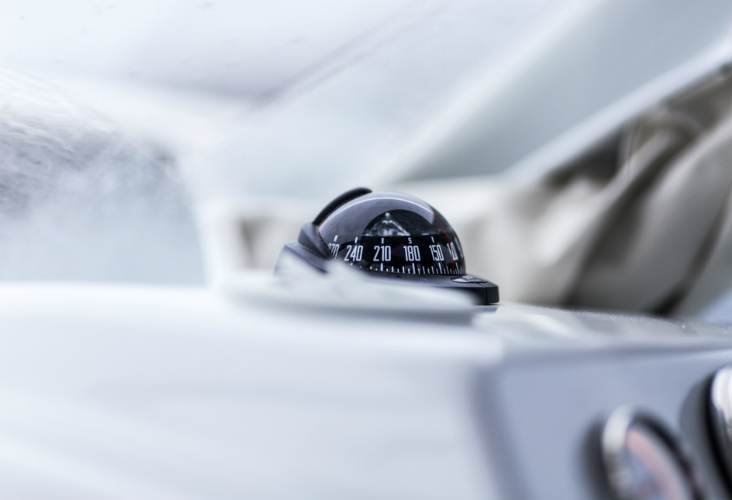 Once you know the basics, it is then easy to progress to club level racing or cruising. Usually, all the equipment you need is provided by the club or sailing schools. If you’ve chartered a vessel for a day or two and you’re keen to learn, chances are an enthusiastic skipper will be excited to pass on their knowledge. Just ask them before you go. Great Escape – an intensive 2-day learn to sail course, to a more relaxed 5- and 6-day learn to sail holiday. If you’re an experienced yachty and want to charter a vessel ‘bareboat’ (i.e without a skipper), or if you want to hire a skipper and lie back and relax, there are plenty of options. You can choose from a large range of sizes, traditional or modern, or monohulls and multihulls, for anything from a few hours to a few days. There are peaceful cruises and more windswept adventures available. Each company, whether it’s one yacht for hire or a fleet, will generally cater to your individual needs. To charter a yacht bareboat you will need to prove well-rounded sailing experience and familiarity with sailboats and / or satisfactory completion of recognised boating courses. Practical knowledge and experience in piloting and anchoring procedures are essential. Bay Charters – “Sensation” is a spacious and well set up Farr 1020, 34ft yacht. Note, bareboat charters will only be licensed for a certain geographical area and companies should assist you with insurance requirements. When you do an introductory Google search, there are so many charter options in the area it may seem overwhelming. We’ve got some recommendations below from locals and loads of reviews and interviews but do your own research as well. Experience of the skipper is key! Check if they will cater to your requirements – do you want to learn as you go? Are you expected to ‘pull your weight’, or just lie back and enjoy the ride? Will they stop off on the Island you want to visit? Most outfits are flexible, so just ask. 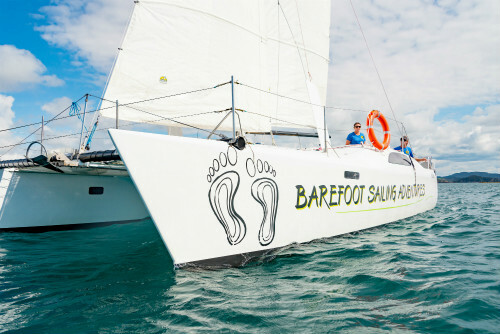 Great Escape – Sail Yourself Yachts Escape reality live out a dream – do exactly what you want it’s your boat, you’re the skipper, you are making the choices. 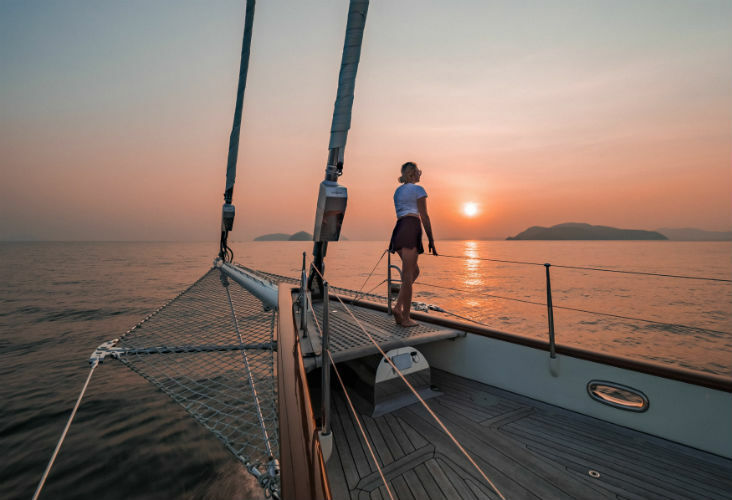 Ataahua Sailing Experiences – Ataahua Luxury Sailing New Zealand is based in Opua and offers exclusive and personalised day and twilight sailing experiences for the discerning guest. Many will offer sunset charter options, and overnight stays. Sometimes these services may not be advertised so just ask. Participants, locals and spectators love the event for its family-friendly, holiday feel, as much as for the competitive side of things. So even if you’re not on a boat you’ll love the party atmosphere in the area. Families often sail together, and a whole spectrum of boats and people converge to enjoy three days of scenic and competitive racing. Divisions are up to the organisers and dependant on the mix of vessels who enter, but as a general guide there are three divisions; larger and faster boats, medium sized boats, then the smaller and/or slower boats. Makes sense! This year’s event has come and gone, but we suggest planning ahead for next summer – the dates have been confirmed as January 22th to the 25th, 2019. The Bay of Islands experiences a temperate climate with year-round temperatures ranging from 16 – 20°C during winter and from 20 – 28°C in the summer. The nights can be much cooler so you’ll need appropriate clothing for all weather conditions like shorts and t-shirts during the day and thermals and fleeces at night. A good wet weather jacket is needed, and if you’re staying overnight out on the water, wet weather pants and sea boots are advisable. 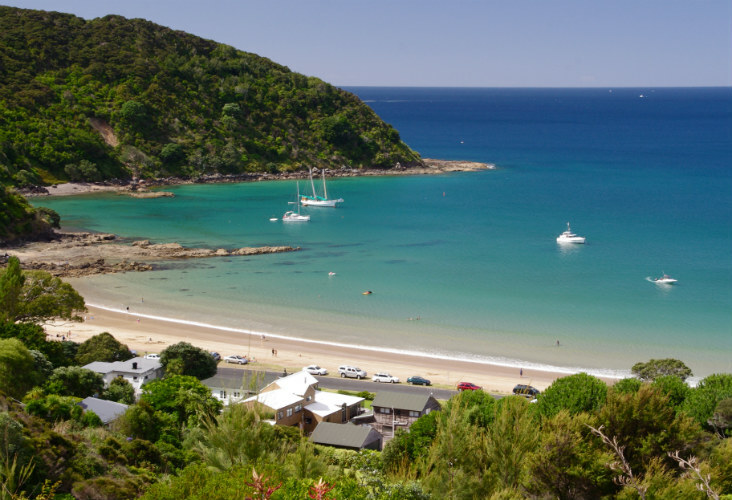 The Bay of Islands is generally very mild, adding to its appeal. When you’re out on the water however, the weather conditions can change – fast. You should always check forecasts before you go out, and throughout the day while you’re out on the water. Maritime radio, Coastguard on VHF radio and Metservice are the best places to find up to date weather info. Radio frequencies are different depending on where you are located – the Maritime NZ website has the details. At the first sight of deteriorating conditions, head for shelter. There are over 140 Islands to catch the breeze in and around, but at some point you’ll want to drop anchor in a sheltered spot and eat, swim, or drop a line. Nathalie from Vigilant Yacht Charters, says it’s too difficult to pick a top spot as there are so many beautiful options. Plus, “It depends on the day, the wind and the sea conditions” she says. Chynna Haney is a deckhand on the R Tucker Thompson, a traditional gaff-rigged schooner with a unique history that offers youth training and day tours in summer. Chynna says that hands down her favourite spot to anchor is on Waewaetorea Island. “It’s difficult to believe that a location as captivating as this simple, unspoiled little island could be quite so accessible,” she said. Whether you’re aboard a sail or powerboat, you must know the rules, have the right equipment, and aim to be an all-round responsible skipper. 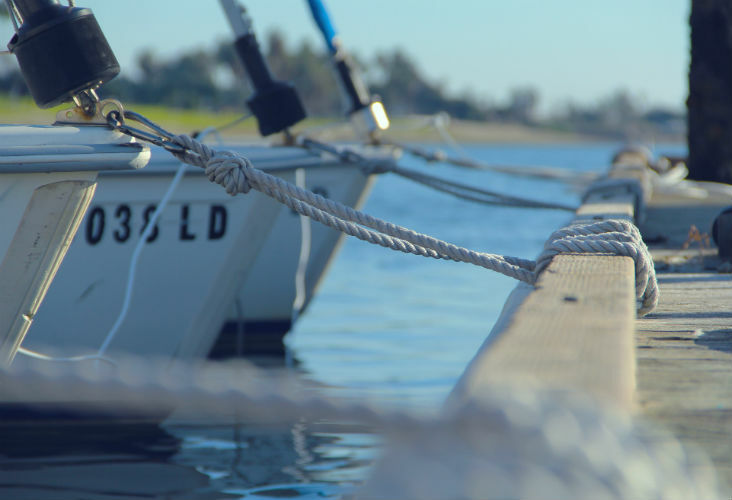 Most boating accidents occur really suddenly with no warning, so you must be prepared for the worst – always. Lifejackets – ALWAYS WEAR ONE – yes, we have used capitals to shout. There will be no time to grab a lifejacket unless it is close at hand in an emergency, and it’s extremely difficult to put on a lifejacket once you’re in the water. It’s essential that you also consider the fit of a lifejacket, and know that children have specific requirements. The right fit can be the difference between life and death on the water. So please take the time to read the Maritime NZ recommendations around lifejackets. Communications – Does the boat have VHF radio, Beacons, Flares and do you have a fully charged cell phone? Different types of equipment work in different areas of the coast, so you will need access to all of these things. And consider what will work when it’s wet. Please take the time to read the Maritime NZ recommendations around communications equipment. Weather – Always check weather conditions before you leave and while on the water. See Climate and Water conditions above. 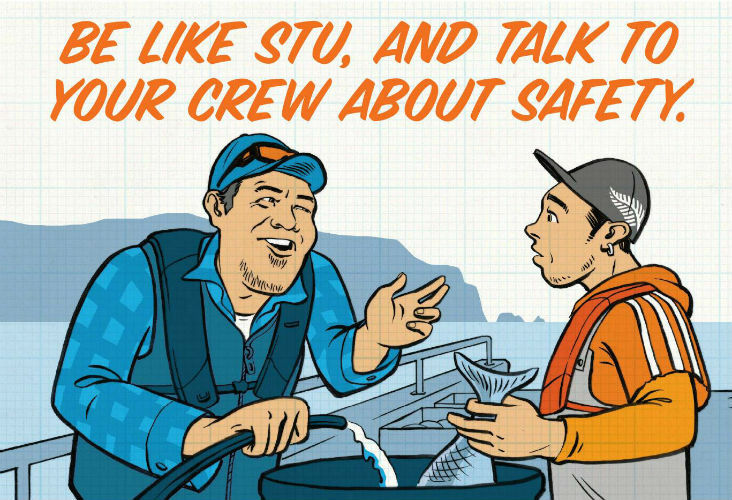 Alcohol – Safe boating and alcohol don’t mix. Things can change quickly on the water. All on board need to stay alert and be aware – so always think twice before pouring another glass of Rose. If you’re the skipper, you probably shouldn’t drink at all. You can be prosecuted for operating a boat in a manner that causes unnecessary danger, under section 65 of the Maritime Transport Act. There are various “blocks/anchor” weights in use, also, other mooring components are important for the effectiveness of moorings. You can also pay a company to assist with finding you a mooring in the area. Try Moorings Northland. It may seem harmless to discharge your waste at the end of a long day on the water, because hey, it’s a tiny amount in the scheme of things. But although effluent from one boat may be minor, the cumulative effects of the whole maritime sector are significant, so please make sure to consider the greater good and stick to the rules. The Resource Management (Marine Pollution) Regulations 1998 outlines treatment standards that specify where treated and untreated sewage can be discharged, as well as other nasties like oil, noxious liquid substances and garbage. This is the area from mean high water springs out to the 12 nautical miles, which is the outer limit of the New Zealand territorial sea. You must be more than 500 metres from the shore, more than 500 metres from a marine farm and in waters deeper than 5 metres before you can discharge untreated sewage from your ship. Sewage includes drainage from any form of toilet, spaces containing living animals and waste water mixed with this type of drainage. You can discharge treated sewage (passed through your on-board treatment system) anywhere in the coastal marine area except within 100 metres of a marine farm. Note: when sampled five times or more over 24 hours, it must contain less than 250 faecal coliforms per 100 millilitres with suspended solids less than 5 milligrams per litre. Visit the Maritime NZ website for more details and to download the full Regulations. You can book a berth at the local marinas listed above (under “moorings”). Booking ahead, especially in summer. NZ’s main port of entry for small craft is the Bay of Islands Marina, clearing more than 430 vessels per year. The marina has an easy-to-access quarantine dock at the northern end of its outer breakwater. Visit New Zealand Customs Service website. New Zealand has a six-step quarantine and biosecurity clearance procedure for yachts and other recreational vessels arriving from international waters. Hopefully this guide has been some assistance to sailors and tourists new to the area. And if you needed more convincing, Nathalie from Vigilant Yacht Charters points out, “All in all we don’t believe there is a better way to see the Bay and to observe wildlife. Cruising speed is perfect to spot not only blue penguins, but dolphins (who love to play along the bow), gannets, and even sharks.” Plus there are many water activities to get involved in.